If this particular choice for a performance review seems to be from out of nowhere, well, that’s because it was. Anta had piqued my interest, particularly with the KT3 and Rondo 5 sig, but as I was browsing the famujisneaker site I came across the KT2 Low for 30% off. I’d really been wanting a good low since I retired my Kobes and at a $65ish price tag, I couldn’t pass them up. I had the 31s and Flyknit HDs in my rotation, but I prefer to play in 1:1 fit, locked-down lows when it comes down to it. I had moderate expectations. 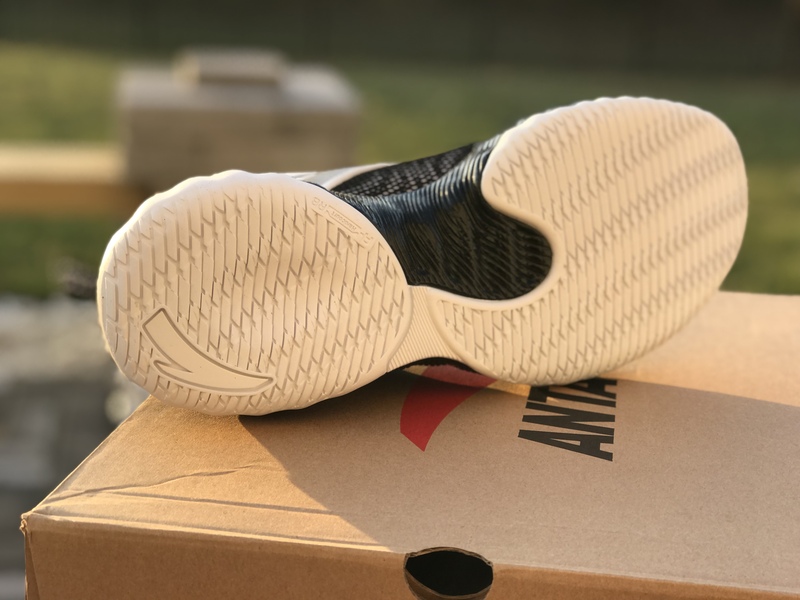 The only other review out there was generally positive, but I’d never played in an Anta shoe before. I wasn’t 100% sure on sizing and my standards for lows are quite high – if it doesn’t play like the Kobe VI then it’s hard for me to hang on to a pair of lows. 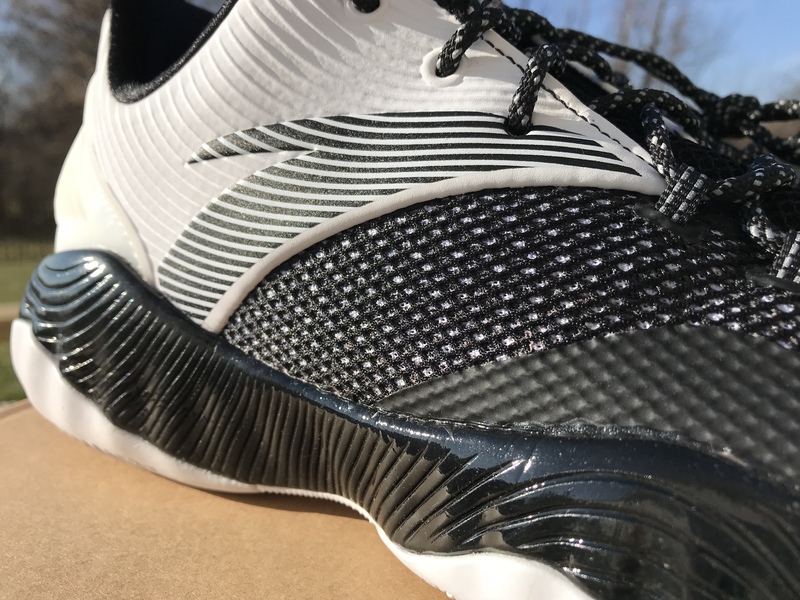 What I found in the KT2 Outdoor model was one of the best lows – really, one of the best shoes – I’ve ever played in. 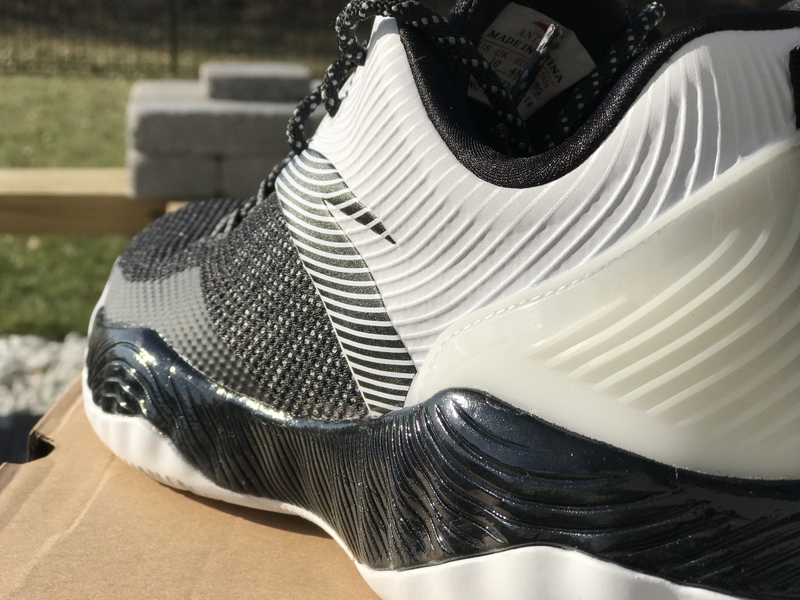 A complete shoe with very few weaknesses, the KT2 plays more like the Kobe VI than any other shoe I’ve had (including the Kobe 8, 9, and 11). I went down a half-size to an 11 in the KT2s and they fit perfect. I have a narrow foot so the width was excellent for me and there was enough toebox length to keep things comfortable down there. Most of you would likely be fine going true to size, but 1/2 size down won’t kill you if your foot is on the narrow side. In my Jordan 31 review, I talked about what I look for when it comes to fit: my style of play is such that 1:1 fit is paramount. I want the shoe to feel like an extension of my foot. While the 31 fit and locked down well, there was some excess material there that prevented my preferred type of fit. The KT2 Outdoor Low absolutely achieves the 1:1 fit and provides a no-slip fit from front to back. 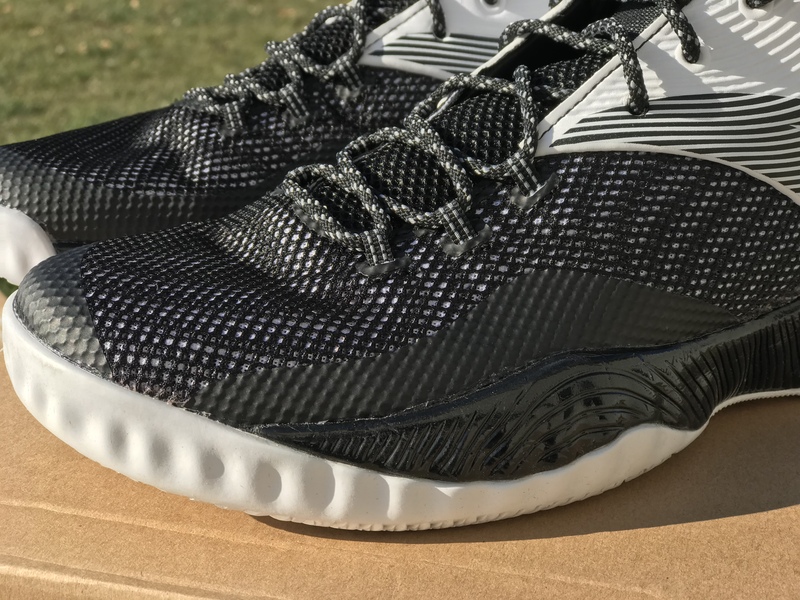 From a materials perspective, it’s really a no-frills upper. 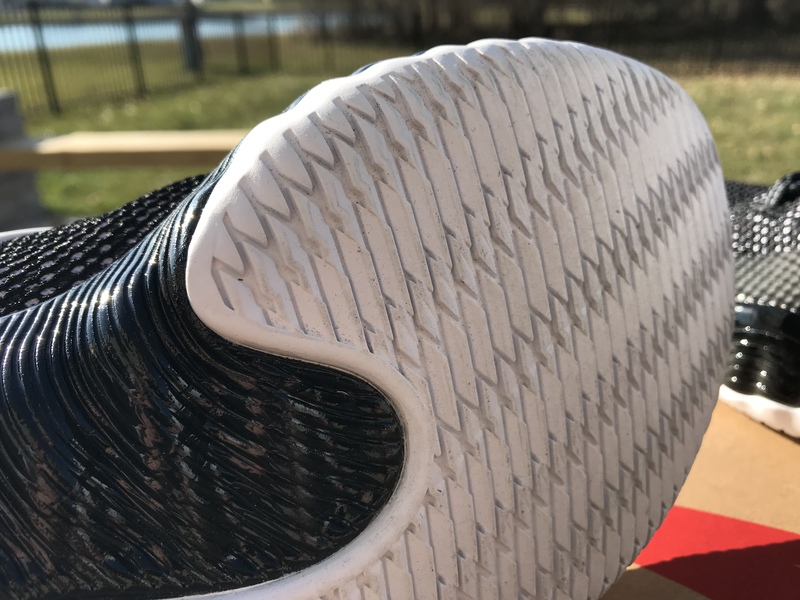 The toebox and most of the midfoot is a standard mesh build with what looks and feels like a TPU heat welded in areas where additional support is needed. It’s expertly placed on the lateral side where you’re going to be planting and pushing off and that mesh upper required some additional support. The heel portion is a synthetic collar combined with a large plastic external heel counter. I love the heel wrap – it surrounds the foot with a sturdier build and locks the foot into the footbed. 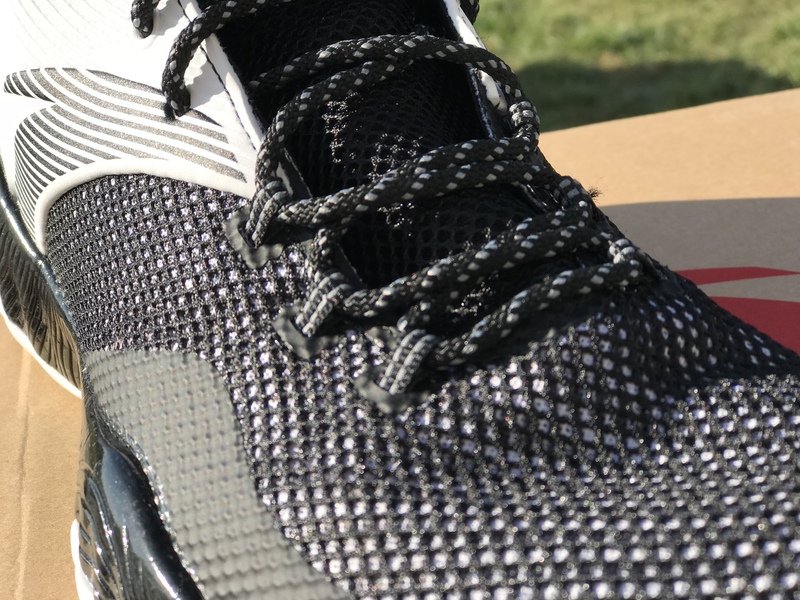 The lower three eyelets are lace loops that strap the foot in (there’s a little excess material once laced tightly but it’s not bad) and the other three eyelets are tied into that synthetic collar for a straightforward, vice-like lockdown. No slip at all for me. Transition is excellent right out of the box. In fact, the shoe is lacking in support a bit and allows for a fairly extreme amount of flexibility, but that means transition is natural. There’s no midfoot shank and the midsole definitely breaks in and flexes more and more as you go. Whatever it’s made of, it’s fantastic. It feels something like original Micro G did (I had a pair of original UA Juke’s from back in the day with the bounciest Micro G ever – and that’s what these feel like). The responsiveness is there, impact protection is there, and a naturally flexible midsole allows it to do its job. Your foot sits low to the ground, with midsole sidewalls wrapping up to cradle the foot in the carrier – and this is where it reminds me so much of the Kobe VI. 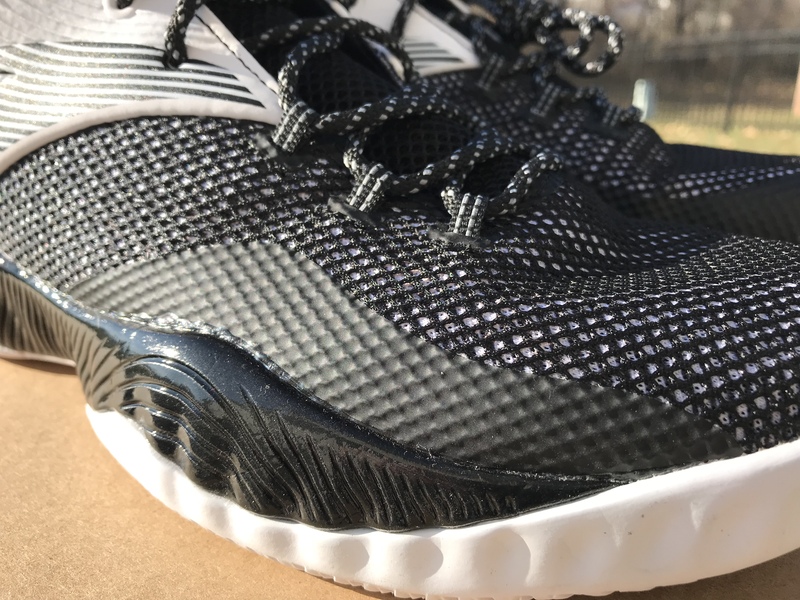 The combo of low, responsive cushioning underfoot plus a midsole that wraps up the sides enough to keep the foot is exactly what I look for in a cushioning platform. The lateral side also has a large outrigger for lateral stability. I’m a couple months into these, and there’s been no dropoff in cushioning performance. I would prefer some kind of a midfoot shank plate for a little bit of additional support, but it barely registers as a complaint when looking at the KT2 as a whole. I feel that the torsional, side-to-side support/stability is solid despite the very flexible midsole. Overall it’s one of my favorite cushioning platforms I’ve ever played in. The shoe is geared for the outdoor hooper, yet my surgically-reconstructed hips do not do the outdoor thing anymore. Indoors though, the traction has been fantastic. The blade-like pattern has stuck on everything from crappy YMCA floors to well-kept high school courts. 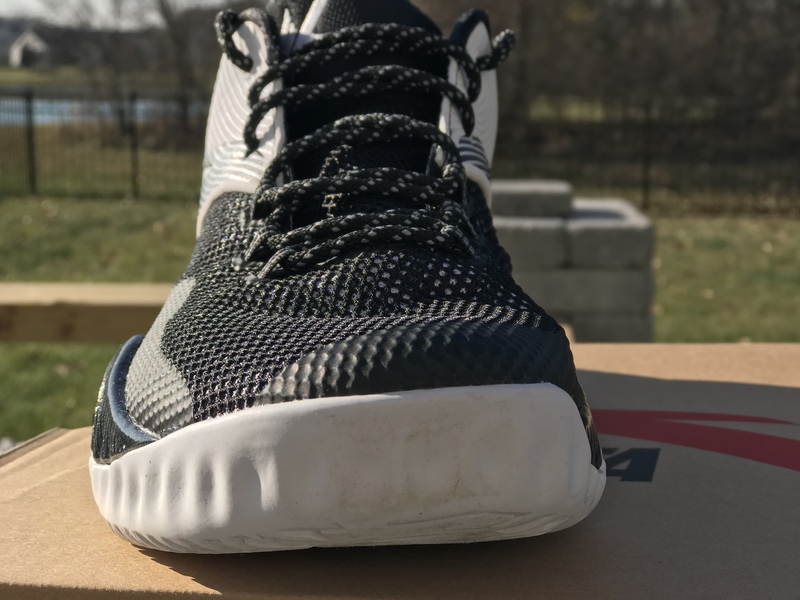 I think the rubber compound used is excellent – soft enough to flex but with some hardness to maintain the durability you’d expect in a outdoor-specific shoe. No issues at all with the traction. Mesh and synthetic doesn’t sound like anything to write home about, but they’re deployed well in the KT2. The midsole cushioning compound is as good as any you’ll find on the market, save for Boost or certain Zoom setups. KT2 designers used the right materials in the right areas, and that makes a big difference. The KT2 is one of the best shoes I’ve played in in a long time, period. 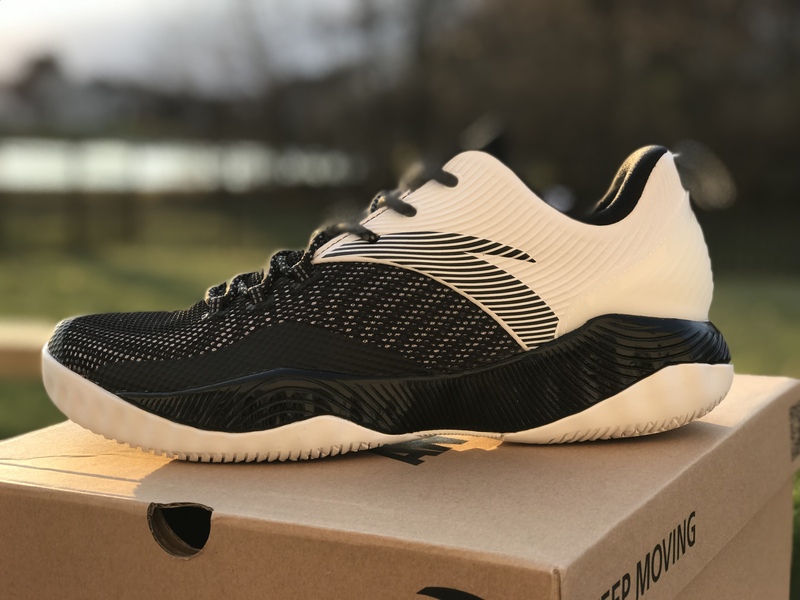 The shoe has everything I’m looking for in a low-top guard shoe – fantastic fit, responsive, low-to-the-ground cushioning, and sticky traction. At $65, I can’t imagine there’s a better budget shoe out there. In fact, there aren’t many better shoes out there period. Some will want more premium materials, maybe more support or a hair more impact protection, and I totally get that. For this reviewer though, the KT2 Outdoor Low is complete performance beast at an unbeatable price. Wow I might have to pull the trigger now . Thanks a lot a Jake!!! Have this for a year now. Played indoors and outdoors. Hands down my favorite basketball shoes ever! Its only “weakness” is that your foot size/shape needs to fit this shoe half size down for that locked in fit. And as as mentioned it’s not the most supportive, but what it lacks there gives the wearer lots of mobility. Yep half size down was perfect for me as well. I had a foot sprain in them after about 6 months of wear (not that it was the shoe’s fault but it scared me off and the support is a bit lacking) but I still wear them nearly every day for general workouts/lifting. Fantastic shoes and one of my all time favorites outside of the Kobe VI. Have been playing in the XXX2 low for awhile now and have gotten used to the support so it’s hard for me to go away from those.